We off a number of services that are available to the public. The shop is relatively new, so we are still building and expanding, which means that in time, we shall actually be offering more products and services, so please stay tuned to the website. 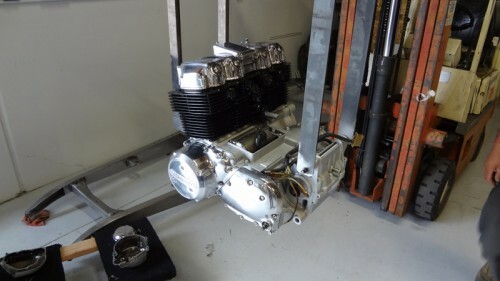 Now, the newest addition that we offer to the Cafe Racer and Motorcycle rider is a full service workshop. We will be offering Oil changes, Tires and Chains etc to the rider, as well as normal parts and sales services. From new Throttle Cables and clutch etc to complete full Service, oil, chain, tires, plugs, filters etc with a safety check on everything else. We also have a new addition to the team as a Mechanic who has more than 25 years in the 2 and 4 stroke industry where we shall have unique services such as. Also tuning, and this is for 2 and 4 stroke machines, so, if you have a Kawasaki triple, or a 200 cc scooter, we are your One Stop Shop. We now offer Upholstery service, send us your tired and worn out seat and let us re-vamp it and make your ride as comfy as your favorite armchair. Offering many strings to our bow is paramount and now going to offer polishing and chroming options for your motorcycle or Hot Rod with competitive pricing and fast turnaround. Another addition that we will now be offering here is Wheel spoking, if you need new wheels or just new spokes, we shall offer that service either by dropping off or by mail order, we are here to help and advise,. On the Hot Rod side, we will offer services for all types, including New tires and rims as well as Radiator fitting and alternator/generator fitting etc, we are passionate in what we do, and we want you to not only have value for money, but we want you to have peace of mind. We pride ourselves on our service and communication with everyone and I am sure will enjoy your experience with Nostalgia Speed and cycle and we look forward to seeing you soon here in our shop in the City of Orange. First Service & What A Rare Egg!